The RoboHon - a cross between a robot and a smartphone - really is coming and Sharp has finally revealed the price tag it'll be carrying with it - a cool $1,800. Still think it's cute. Yeah, thought not. 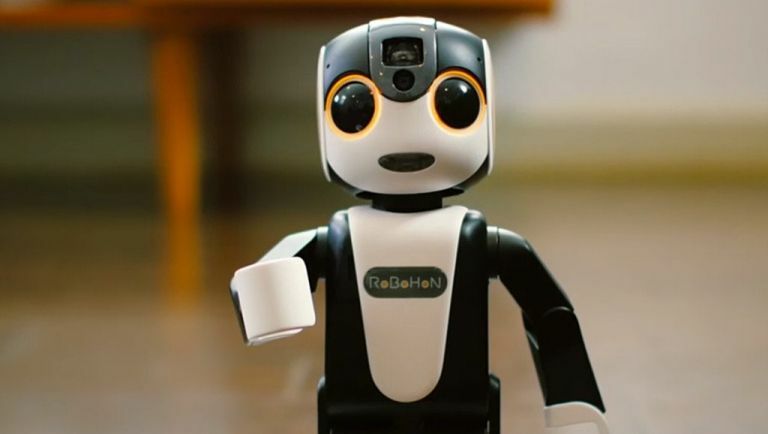 First revealed in May last year, the RoboHon is the probably the most Japanese thing we've ever seen, combining the culture's undying love for all things robotic and the ever-changing power of the modern smartphone. It can walk around, recognise its users, project images and video and tell you're getting a call with vocal cues. Zeitgeist or no, Sharp is certainly trying to do something different with the RoboHon, but it's tiny screen might prove to be its most divisive feature. The display is tiny, but Sharp has argued the two-inch QVGA screen is less important when you consider you're meant to interact with your new robo friend rather than use like a traditional mobile phone. According to a recent reveal at Sharp's Tokyo HQ, the RoboHon will go on sale in Japan on 26 May with a final price of 198,000 (plus tax), which ends up somewhere around the £1,280 mark. The all singing, all dancing (we mean that literally) RoboHon is currently only planned for release in the East, but hey, maybe the world is waiting for a smartphone that's been reconstructed and rebuilt into a tiny robot with an anime voice.